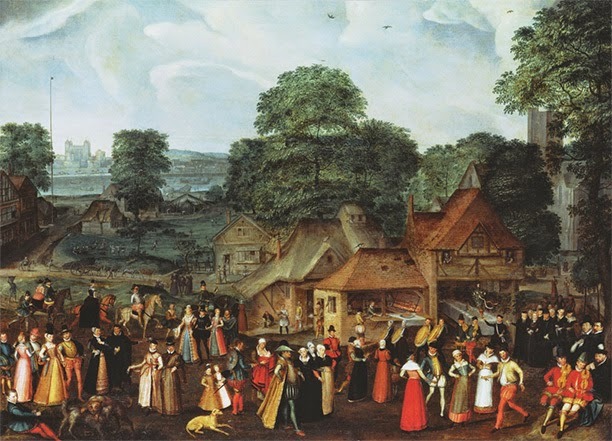 A Compendium of Common Knowledge: A fantastic collection of information (somewhat randomly arranged) about everyday life in Elizabethan England, examining topics as diverse as food, music, duelling and how much to tip servants. Provided by http://www.elizabethan.org/ which also has other interesting material on Elizabethan topics. Its links page is also very thorough. Elizabethan Theatre: Lots of details on the different theatres operating in Elizabethan England. Shakespeare (from the RSC): Plenty of information, including a helpful PDF on Shakespeare's life and career. Elizabethan Theatre (A lecture): Lots of detail on theatres, performances, etc. Elizabethan England in the Year of Shakespeare's Birth (Joel Hurstfield, History Today, 1964): It may be 50 years old, but it is still a very helpful and detailed article, focusing on Sir Thomas Smith's survey of England written in 1565. If you find any further useful sites, please let us know and we will add them to the list! 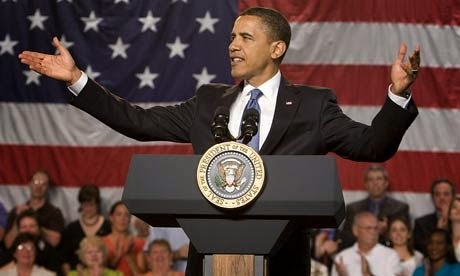 Why did Obama win the 2012 presidential election? Many articles (USA Today, Real Clear Politics, CBS News for example) have been written about Obama's victory in 2012 but what really made the difference? So the last time I came across this phrase was back when I was 10 and reading ‘Horrid Henry’; not exactly the most common phase used today but there was a really cool legend behind the phase that I was told as a bedtime story by my Godfather. So, as we know, Abraham Lincoln was shot in 1865 by a man called John Wilkes Booth. Lincoln was attending Ford Theatre to see ‘Our American Cousin’, a comedic play. The police guard, William Crook went across the street for a drink and during the 3rd act; Booth entered the box and shot Abraham Lincoln in the back of the head with a derringer. As Lincoln lay unconscious, the assassin tried to make an escape and leapt down below onto the stage, a breaking his left shin. Nonetheless, he hobbled backstage to where there was a saddled horse waiting. John Booth galloped away with a fellow conspirator. As time went on, Booth could no longer ignore his pain, despite the large quantity of whisky he had downed. He made his way to the house of Dr Samuel Mudd. Where he tended to his leg at 4am. Mudd was apparently weary of the men and ‘although acquainted with the men’ he testified that he did not recognise Booth went setting his leg right. As the assassins slept in the house while the doctor went out the next morning. This is when Mudd learnt of the death of Lincoln and ordered the men off his property. Dr Samuel Mudd was convicted of being a conspirator. The evidence against him was ambiguous and historians have argued his case. He has since been pardoned. So this is the origin of the phrase ‘Your name is Mud’. Disappointingly enough, it is a coincidence that the surname of the doctor is ‘Mud’ as the phrase which means’ You are unpopular’ can be traced back to the 16th century to describe things that were ‘pointless and polluting. It was used in 1703 to describe lower class people. This book covers the operations and attacks during WW2 between the German and Russian sides with a detailed account of the hardships that the Russian soldiers faced and the brutality and extremism of the Red Army among its own men. After reading this book you understand how incredibly important loyalty is to Stalin and the Red Army as a whole with even the slightest deterrence from their own side and they would be executed as a result of taking part in “anti-Soviet activities”. To replace those that died, civilians would then be brought in with no uniform so would have to scavenge off dead bodies to gather up suitable clothing for the harsh winters. However, it was not just Stalin’s rule that was intense, Hitler himself was constantly cautious in anything he did, even down to eating, where he would have another person try everything before he consumed it as to be cautious of poisoning. 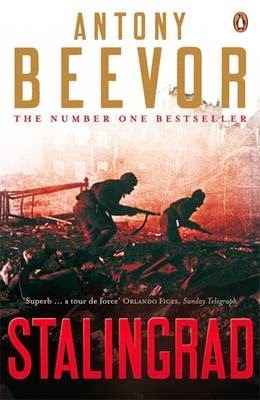 Overall the novel highlights the longevity of the attack on Stalingrad and it is made evident the draining effect that the battle had on the German Army as a whole after the SIxth Army were bled dry and why it was such an important event in the overall outcome of the war. With a week to go until the vote on the Scottish Referendum the polls couldn’t be closer. Over the past two years Alex Salmond has been trying to convince the people of Scotland to vote Yes on September 18th. Both of my parents have lived in Scotland during their lives and currently I have other relatives living there, this is why the vote is very important to me and why I don’t think Scotland should become independent. At the moment it seems like the voters are split in half, those living in Edinburgh and Glasgow don’t seem to want independence whilst those living in the Highlands seem to be voting yes. The question is what are the risks? At the start it didn’t seem as though it would be possible as only 32% wanted independence. The last set of polls to be published showed that 51% of people would vote yes whilst 49% would vote no, this is the first ever poll in the campaigns history in which the yes vote won. 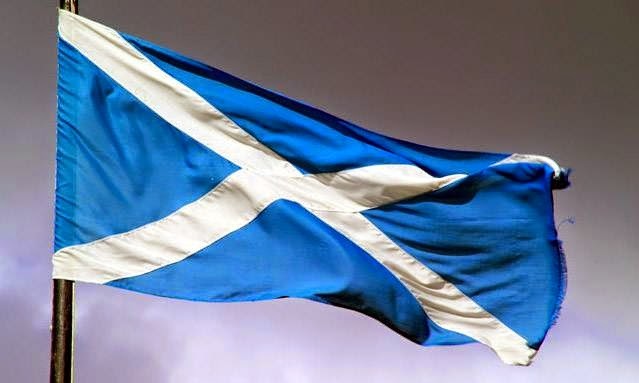 This poll triggered a decrease in the pound sterling as well as a reduction in the share prices of Standard Life, RBS and Lloyds Bank, all of which are Scottish or are in control of Scottish companies. This shows what could happen if Scotland were to vote yes on the 18th. Opinion polls are the only indication as to which way the vote will go, however the only poll that really matters is the one on the 18th. Alex Salmond and Alistair Darling have both said that every vote will count as the results will be very close. It seems quite similar to the campaign for independence for the Canadian state of Quebec when the public of Quebec voted against independence by only 51%, this caused riots in the streets. Currency has been the most talked about topic in this campaign as Alex Salmond wants a currency union with the UK. This means that the UK and Scotland would share the pound Sterling, the only problem being that George Osborne has rejected this and has stated that he will not let Scotland have the currency union. The Plan B for Salmond is to use the Sterling anyway as it is an international tradable currency and the UK can’t stop Scotland using it. A similar situation currently exists in Hong Kong which uses the American Dollar. The only problem is that without a currency union Scotland can’t have the assets of the Bank of England. This means that company’s like RBS and Standard Life won’t be able to survive in Scotland and will have to move to elsewhere in the UK. 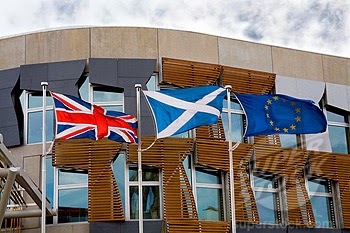 The concerning issue for the UK is that without the currency union Scotland will not contribute towards pay the debts from the banking crisis, leaving the UK to pay it all off. This crisis was partly caused by RBS and HBOS both of which are very large Scottish banks which were rescued by the Bank of England and Lloyds TSB respectively. Despite the fact that Scotland says the government they get is not the government they voted for, if they become independent the UK government will substantially change. This is because the majority of the Scottish seats are held by Labour and without these 41 seats it would mean a higher chance of a Conservative government. Even though the UK would have an increased chance of a tory government, David Cameron is supporting the Better Together campaign by visiting Scotland instead of Prime Minister's Question time. All three parties in fact are going on a campaign across Scotland. Of course Scotland wants to be in the EU and the UN however, it doesn’t seem as easy as it sounds. They will have to reapply, which is estimated to take 20+ years which is too long to be out of the EU and not receiving the benefits of being a member. This is a big risk for Scotland because if they do fail economically, then there isn’t a backup from the EU. The North Sea Oil seems to be the focus point of the income for Scotland, with an estimated 120 Billion barrels left, it doesn’t seem as though it will contribute greatly to the economy as only 10-20% of the money made on oil is given to the government. As well as this oil is very volatile and it does not seem sensible to me if the country’s economy is based on a volatile source. Despite having Norway as a model for the country’s future it does not seem as though they will be able to achieve this without risk and possible failure. Oil is not something you can give an exact price or estimate how long it will last which is why Scotland shouldn’t be so reliant on it. The problem with the proposed government is that although it will be able to change all of the laws that they deem unsuitable, for example the Bedroom tax, they won’t be able to have as big a budget as before. From the referendum document it seems as though Alex Salmond wants to spend his money on lowering and removing taxes as well as supporting small businesses and increasing pensions. He also believes the NHS can continue to be free as well as having free education. The sums don’t quite seem to add up and this white paper is just a vision, it does not provide any evidence of a sustainable country. The Scottish National Party can promise all they like but the fact is if there is a yes vote on the 18th the SNP will disband. The reason being that they were solely created for the purpose of gaining independence for Scotland. This means that the SNP will not be responsible for managing the country and therefore can make irrational statements without suffering the consequences. The fact is that it just seems like Alex Salmond wants to put his name in the history books rather than see the consequences of independence. Trident is another word which bring shivers to those living in Scotland and one of the strong argument for the yes campaign. The idea that the UK will always have a submarine with Trident nuclear missiles has always been a defensive tactic however, it seem as though it is very unpopular with the Scottish people and that they have to look after something they don’t want. In this situation you have to ask, what will Scotland’s defence be? Generation 2014 is the name of those voting who are 16 and 17 years old, for the first time in history they will be able to vote yes or no to the referendum. This may seem a good idea to enable the next generation to get involved as it will be their Independent Scotland that they will have to live in if there is a yes vote. To me it seems like Alex Salmond wanted to do this in order to get more yes voters as it would be easy to convince them that an independent Scotland is the way forward however, as the day comes closer it seems as though the youth do not want to see their country at risk when it does not have to be. Overall I do not believe that an independent Scotland should be the way forward as there are too many unanswered questions by the leaders. It isn’t clearly set out and even the white paper doesn’t show all of the figures. To me it seems like there are too many risks involved with the independence and with the UK willing to devolve powers such as income tax it seems more sensible to vote no because the UK is better together. ‘Revolutionary Russia’ explores the Russian revolution not as a single event but as a one hundred year cycle starting with the decline of the Tsar and ending with the fall of the Soviet Union. 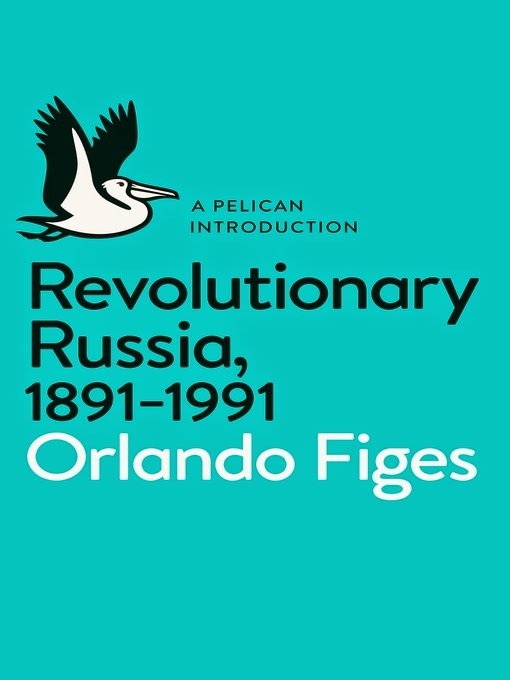 Though the book is relatively short when considering the broad period it covers, Figes does not seem to compromise the quality and detail in which he tells the story of the revolution. Instead the book looks closely at many features of the Revolution such as the October Revolution, the Civil War and Stalin’s Reign of Terror. The book also closely evaluates the importance of aspects such as the peasant culture in Russia and the glorification of Lenin and how this affected the events of the revolution. The style in which the book is written makes it clear that it has been extremely well researched with the referencing to individual stories and direct quotes making it particularly insightful as well as making the period of history more accessible for the reader. The book answers many questions about Russian history whilst leaving the reader with many more, due to its thought provoking style. I found the ending of the book particularly interesting with its reflection on how despite how most Russians today acknowledge the atrocities committed under Stalin, most will continue to believe that these were justified. This serves to show just how indoctrinating the Russian regime was under Stalin and how the horrors of his reign did not die with him. The author also refrains from injecting his personal political outlook into the book and remains mostly impartial, thus allowing the reader to form their own judgement. Overall, Figes has managed to write a book that does not over simplify Russian history yet still remains an enjoyable and manageable read. 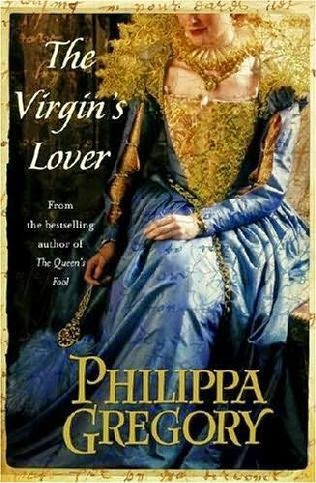 ‘TheVirgin’s Lover’ by Philippa Gregory is a novel based on Sir Robert Dudley, and his relationships with both his wife, Amy Robsart and Queen Elizabeth the first. The novel portrayed Dudley’s past accurately, it described his father’s downfall after failing to establish Lady Jane Grey on the throne and his condemnation as a traitor. Philippa Gregory also showed that it was well researched as Dudley’s awards and titles were featured in the books as they were in real life. This included Elizabeth awarding Dudley the “order of the garter” in the novel. Although regardless of the research the book is contains much speculation in reference to the extent of the Queen and Dudley’s relationship and the circumstances surrounding Amy’s sudden death, but the mystery surrounding her death is acknowledged in the author’s note, where Gregory states that the ‘mystery is unsolved’. In addition, I enjoyed the scenes in the book between Dudley and Laetitia Knollys, his future wife, as Gregory showed an attraction between them, him finding ‘it hard to look away from her’, which foreshadows their marriage after the events shown in the book. However, overall, despite being well researched, I disliked this book. This is because Queen Elizabeth was portrayed throughout as flighty, weak and totally dependent on the men around her, especially William Cecil and Dudley, himself (she is described as unable to ‘take a decision without a man’). Even though, in actual fact, she was intelligent, speaking 6 different languages. Moreover, none of the main characters were likeable. Dudley was shown to be unashamedly selfish and his wife, Amy seems feeble and frustratingly desperate. Amy is also depicted dim and barely able to read and write, where as in truth neat letters in her own hand have been found. 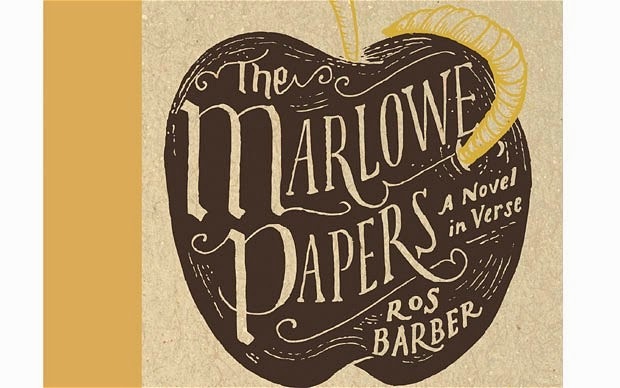 To be honest I’m pretty sure that The Marlowe Papers by Ros Barber is the most confusing book that I have ever read; admittedly I probably should have guessed that it would be confusing as the entire book is written in a series of poems. But I thought that it’d be fine as I’m taking English as well as history, but as it turns out I’m not very good at Shakespearian English. The plot of the book is what made me decide to read the book, and once you decipher the poetry and understand the plot, the book is quite interesting. The book is about Christopher Marley, who later becomes Christopher Marlowe and William Shakespeare, throughout his life as he becomes famous under his own name, becomes an intelligence agent for Sir Francis Walsingham before being stabbed in a fight. Up until this point the book sticks to well accepted historical facts about Christopher Marlowe, but the book explores the idea that Marlowe did not die but instead escaped to France to continue his intelligence work, and write plays in his spare time. As it turns out intelligence work is actually quite boring as the majority of the book seems to be taken up by him sitting in French pubs, complaining about his life or being arrested for different things (you would have thought that being arrested for heresy would be more interesting). Overall my main problem with the book was that it was almost impossible to tell what was going on, as it gives you no warning about the beginning of different flashbacks (or one of the main characters frankly disturbing dreams). What makes this worse is that these flash backs are not always in chronological order so it’s fairly difficult to understand the series of events that lead to his “death”. Another issue I had was with telling many of the characters apart, because everyone in the book seemed to be called Thomas, and it was only because of the character list at the front that I could tell them apart. I my opinion the book is very confusing and I wouldn’t recommend it to anyone who is not willing to spend a large amount of time translating the poetry into something understandable, but if you are willing to spend some time on the book, the plot is an interesting idea and the characters can be fairly funny at times, but I’d have probably enjoyed the book more without the poetry. This is the question on everyone's lips north of the border - and next Thursday, that border may be more permanent and different than it is today. On the 18th September, all adults from 16 and above will be able to vote yes or no on this question. It is a momentous and historical event which will change the way the UK operates dramatically, particularly of course if the Scots vote yes, but also if they vote no. There are now a huge number of places to look for more information and I am going to mention just a few. First of all, the BBC and The Day (school subscription) are great places to start for a wealth of information. You might also look at the two different camps on either side of the argument, the Scottish National Party (SNP) led by Alex Salmond and the Better Together Campaign led by Alistair Darling. More opinions and views can be found from Polly Toynbee in the Guardian and Allister Heath in the Daily Telegraph but almost every news outlet now has a range of opinion editorials on the subject. There are also a range of other media involved now in the debate, from comedians (warning: strong language) to a range of specially commissioned programmes on the BBC, particularly this one on women's votes by Jackie Bird. Andrew Neil has done a particularly thoughtful one on what is at stake for the UK and Robert Peston, the BBC's Economics Editor looked at the economic issues. The debate on the issue is going on across the school and across the country. Do you have an opinion? After watching 'The White Queen' television series in 2013, I swiftly went to Waterstones to buy a copy of the first book entitled (surprisingly) 'The White Queen'. However, once GSCE revision started, the time for reading disappeared. 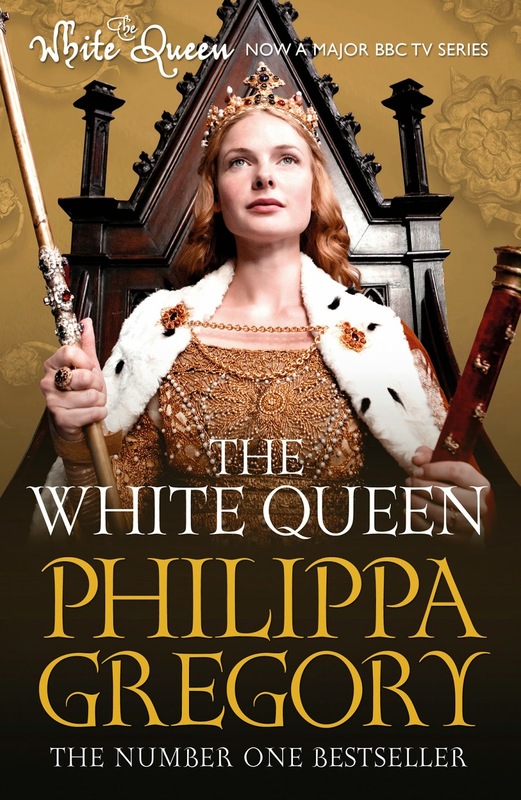 As a result I was not able to start enjoying 'The White Queen' until the summer holidays of 2014 - and yes, I did enjoy it! The novel is from the perspective of Lady Elizabeth Woodville (a.k.a. The White Queen). She starts the novel as a Lancastrian, but after the death of her husband, she decides to captivate the heart of the new York king, Edward IV. This secures Elizabeth's role as Queen of England. Whilst, the battles are not the focus of the book, as literature based in the War of the Roses they are occasionally mentioned (purely for the benefit of context). The longing for power in the 15th century converts the war from a 'Cousins' War' to a 'Brothers' War'. The White Queen's popularity remains controversial within the history as it is clearly historic fiction due to the regular use of enchantments and curses. Personally, I do not think that this subtracts from the well researched novel as the facts are maintained and the witchcraft even co-exists with a popular belief from the time that the Lady Rivers was a witch due to her heritage from the water goddess, Melusina. Gregory has also admitted in an interview included in the book, that the way in which she presents the historic mystery of the Princes in the Tower is her own idea as to what happened, because in reality nobody knows what happened to them. Described on the cover as 'An Intimate History of the Black Death' (a name which, interestingly, was never used by contemporaries and arose from a mistranslation), this is a charming introduction to a fascinating and gory topic that can actually justify the numerous hymns of praise plastered across the back. 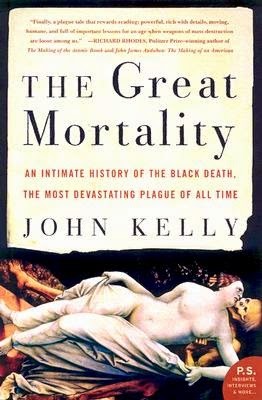 The Great Mortality focuses on the progress of the Black Death across Europe from its beginning in Russia, describing both the probable causes of the contagion and its effects on the population. Interwoven are the histories of the places plague visited, the events preceding the plague - such as the Great Famine - and the history of Yersinia Pestis itself, including its discovery and its appearances before and after the Black Death. The book is not without imperfections. There were worrying discrepancies between the book's account of how the plague bacillus was identified and other accounts I have read - though, to be fair, there is no reason to assume they were more reliable. Editorial mistakes are more common than they should be (epitaph is, in one entertaining incident, confused with epithet) and the final chapter - which deals with 'plague deniers' (those who think the Black Death was not caused by Yersinia Pestis) - feels like it needs more work, and has employed some circular arguments. On the other hand, The Great Mortality has the great merit of being immensely readable. 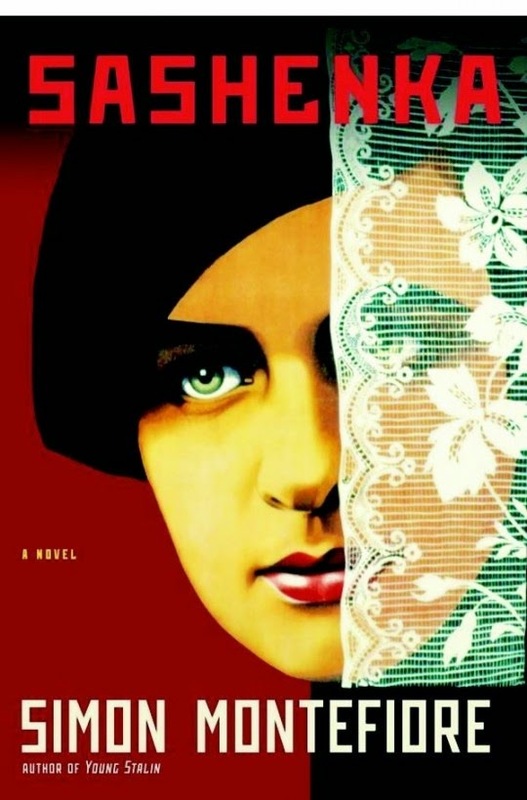 The writing style is beautifully clear, while the interspersion of anecdotes - for example, the Sienan merchant who lost his wife and five sons to plague - really impresses upon the reader the tragedy the epidemic brought, and the addition of contemporary events to the book, like the trial of Johanna of Naples for the murder of her husband, allows the reader to imagine the outbreak in context. Overall, the book is an immensely entertaining introduction to the Black Death, and worth recommending. The presentation of Stalin as a person in ‘Sashenka’ contrasts with that of the Soviet scheme and system of fear that he ran to portray the common view of the dictator according to the view of contemporary public in the USSR. The terror of the 1930s under Soviet control is never attributed directly to Stalin himself in the novel, in the same way that he would not have been openly blamed by citizens of the USSR at the time, for fear of suffering the same ordeal that they were associating him with. This suppression through fear is also presented through Sashenka’s job editing a Soviet magazine, which produces propaganda in support of the political system, and censoring any writing portraying it honestly. When she is presented with an article highlighting the negative aspects of a Soviet orphanage she explains that ‘the Party Committee would denounce’ the author and send them to a Gulag – one of the labor camps run under Stalin where ‘enemies of the people’ would be sent and forced to work tirelessly, tortured and often killed. In spite of the brutality applied through Stalinism Sashenka believes that ‘Comrade Stalin knows’ that she is innocent and maintains her devoted admiration and reverence of him throughout her suffering in the prison at the hands of his workers. Stalin’s image was seen as incorruptible and his reputation as a good leader undoubtable from within the Communist party and Sashenka’s genuine belief in his virtue despite the knowledge of what was happening to innocent people under his instruction emphasises the extent to which his authoritarianism stretched, not just preventing people from voicing their negative opinions against Stalin, but indoctrinating them to convince them that his system was just. This conditioning influence did not end entirely after his death, or even the breakdown of the USSR as the final section of the novel, set in 1994, shows people still wary to investigate and expose the faults of Stalinism. Contrary to the cruelness of his regime, Stalin is presented as personable and charming face-to-face. His likeable personality contradicts the inhumanity of his policies to create an enigmatic and intimidating leading figure who cannot be challenged, incorporating a political concept as well as an affable individual as a respectable figurehead of the Soviet system and for Communism. According to Alison Weir, Lady Jane Grey’s upbringing would send the strictest parent running to a social worker screaming “child abuse”. Enduring the wrath of her parents for being born a girl, Jane’s life is pretty bleak, save for the ever-present governess, Mrs Ellen, who devotes her life to Jane, and Queen Katherine Parr, who takes Jane into her household until her untimely death following childbirth. Sadly, just as Weir presents the events, these were common occurrences in Tudor households, especially the aristocratic. Jane’s parents’ excuse for their behaviour is their noble blood, being cousins of the royal family, however many girls, like Jane, were mistreated in the name of teaching them social protocol, in order to be bartered to the highest bidding (and ranking) husband. Weir’s portrayal, although given artistic licence on many of the dramatic deathbed scenes, seems accurate, and even includes some obscure events, such as Mary Tudor being forced to sign a document acknowledging the illegitimacy of her parents’ marriage, and Elizabeth Tudor’s alleged scandalous behaviour with Katherine Parr’s final husband, Thomas Seymour. Weir skips between points of view, ranging from Lady Jane herself, to her mother, both Tudor girls and Queen Katherine Parr. Although I’m not a fan of the jumpy tone this gives the book, it does allow a broad view on the motives for every event Weir details, although still leans heavily on the basis that Jane is an innocent party in all aspects. 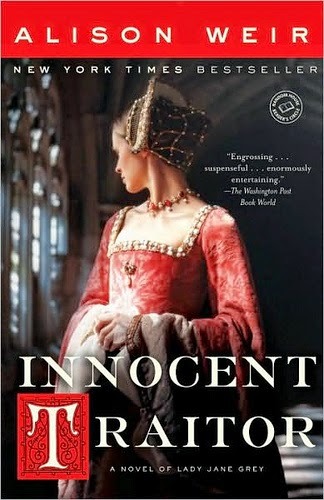 Although I find that Weir uses her artistic license rather liberally, Innocent Traitor is a great insight into the workings of Tudor upbringings, and the lead-up to the fateful 9 day end to Lady Jane Grey. 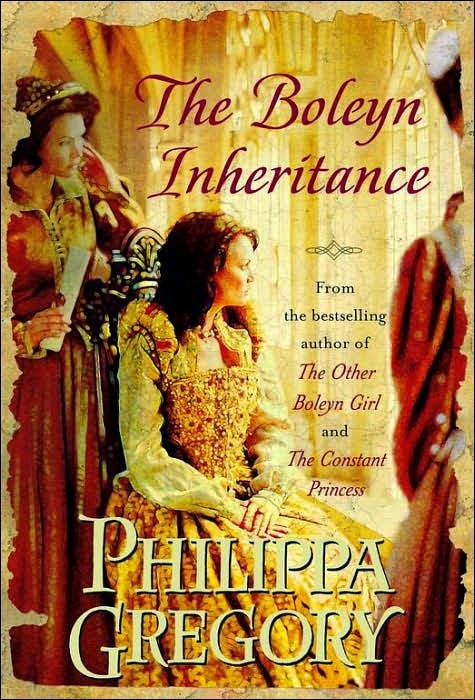 After watching ‘The other Boleyn Girl’, my interest for the Boleyn family has always been an awe-inspiring topic I constantly seek to learn more about, so its not surprising that I chose ‘The Boleyn Inheritance’. Although audiences may presume that this book solely focuses on the cliché and infamous relationship between Henry and Anne, it is not. This story revolves around three determined women who share one fate: Jane Boleyn, Katherine Howard and Anne of Cleves. This book really did steal my attention from other fictional Tudor stories because unlike others, it unfolded all three women’s stories with their own point of view, especially Jane Rochford - commonly known as Jane Boleyn. The most intriguing part was to observe what Jane’s side of the story was and how she repeats her past years by instigating and scheming her way in the Tudor court and attempting to get her kinswoman (Katherine) upon the throne just to benefit herself. Anne in my judgment was somewhat of a 2D character as she had a mediocre role and not enough background history of herself and above everything, Gregory endlessly depicted her as a woman without any faults as the story progressed. But all in all, this is an inspiring read for its entertainment reasons and the way that Gregory uses three women’s voices to illustrate how their lives had been within the Tudor court, truly does amaze me. Another post from me about the Reformation, seeing as I’m still reading about it! Although the practical effectiveness of the Six Articles, passed through parliament in 1539, can be debated, the Articles remain significant as a dramatic shift away from growing evangelicalism in the English Church. Perhaps even more significantly, the Articles were the first major example of Henry VIII taking an aggressively active role in the religion of his country. Henry had always sought a middle way, which is evident in the balanced appointment of clerics to doctrinal discussions and committees: it was generally an equal number of conservatives and evangelicals. The Six Articles follow this trend in that they were meant to eliminate controversy, but Henry’s involvement in the theological debates, rather than merely signing the finished document, was unprecedented. Before 1539, the reformers had gained victories under the patronage of Anne Boleyn, and later with the 10 Articles and Bishops’ Book, which, although full of compromises, were a step in the right direction. Cromwell also pushed forward with his and Cranmer’s shared goal and made sure there was an English Bible in every parish church. The extremely conservative Six Articles therefore represented a U-turn in religious policy, reaffirming the key doctrines of the Catholic Church, including transubstantiation, clerical celibacy and the necessity of auricular confession. These orthodox affirmations resulted in Bishops Latimer and Shaxton – who had spoken out viciously against the Articles in the House of Lords – resigning their sees; yet another loss for the evangelical cause. Transubstantiation was the definitive Eucharistic doctrine of the Church (though this was only implied – transubstantiation was not explicitly mentioned). Lay people should not receive both parts of the Eucharist (i.e. they could take the bread but not wine). Vows of chastity had to be strictly observed. Private masses for both the living and the dead had to be continued. Auricular confession was a necessity. The Articles took three days to pass through parliament, much to the dismay of Cromwell, who had effectively been shoved to one side by Henry’s sudden assertiveness. The parliamentary session seems to have been only a formality, as the outcome had been clear from the start, and Cromwell and Cranmer could only look on helplessly as Henry’s conservative beliefs made their mark. For Cranmer in particular, the third article was devastating. The Archbishop had secretly married the niece of a Lutheran theologian in 1532, and the accompanying penalty was death. It was perhaps through concern for his friend that Cromwell amended the article at the last minute to include only known clerical marriages. Nevertheless, the passing of the Articles through Parliament forced Cranmer to send his wife and daughter back to Germany. Henry VIII himself doesn’t seem to have quizzed Cranmer on his marital state until 1543, but he was aware that his chaplain’s conscience was troubled by the acts: he gave Cranmer permission to miss the last day of the vote (which Cranmer refused to do) and later held a feast in the archbishop’s honour at Lambeth. The Articles can also be seen as a clear shift in diplomatic strategy. With the support of Henry and the continental reformer, Martin Bucer, theologians had received a German Lutheran delegation at Lambeth, partly in an attempt to strengthen ties with the League of Schmalkalden. The key reason for this was the Imperial-French truce, presenting the possibility of French-Imperial-papal alliance against Henry. When the delegation refused to make enough concessions, Henry changed tactics, and seems to have favoured appeasing the Catholics instead. Although not technically foreign policy, as it was governed by England, Calais also proved to be a key stimulant: dissent was growing within the upper secular classes against Archbishop Cranmer’s more outspoken preachers there, which seems to have unnerved Henry about the speed and possible radicalism of reform. Threats from home, therefore, were more important than a possible attack from abroad, especially with the memory of the Pilgrimage of Grace weighing heavily in people’s minds. The Articles, however, were not a complete loss for the evangelical cause. Even the point about transubstantiation was vague. The reformers at this stage, who had not yet lost their belief in the true presence in the Eucharist, could claim that the Articles still followed their own doctrine, even if the language was aggressively conservative. Cromwell also managed to delay the appointment of commissions and some of the articles either took a long time to enforce, or the initiatives were dropped. In Henry’s more happily evangelical mood following Cromwell’s fall a year later, he lifted the death penalty for married priests (no doubt with sighs of relief from Cranmer) and dropped charges on the 200 or so evangelical Londoners who had been rounded up by Bishop Bonner’s men. The changes the Articles made, therefore, were significant in what they said, rather than what they did to the English Church in practice.